PSk2 is the latest generation of solar water pumping systems for larger projects. PSk2 can operate exclusively on solar power or with our new SmartSolution. 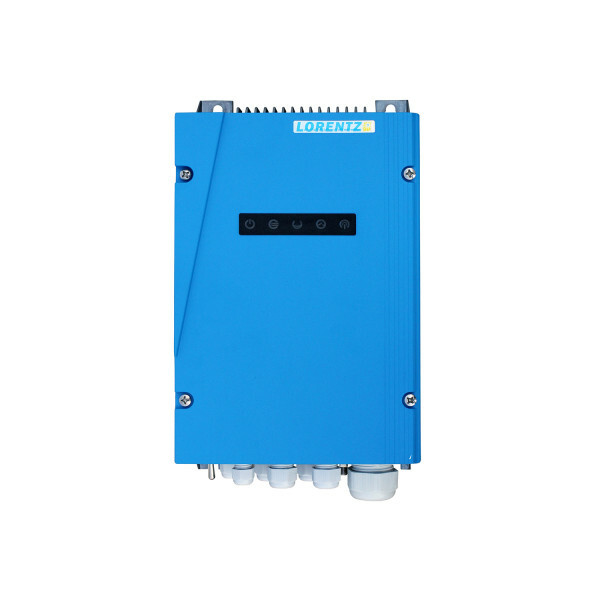 PSk2 SmartSolution provides a true hybrid pumping systemwhich automatically can blend grid power and generator power with the core solar power supply. PSk2 is an advanced solar water pumping system. 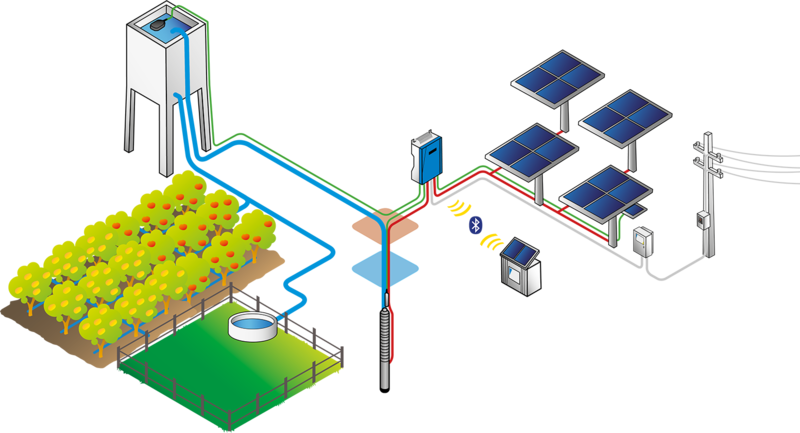 The system is designed specifically to use the power of the sun to move water, so replacing the need for grid power or diesel. 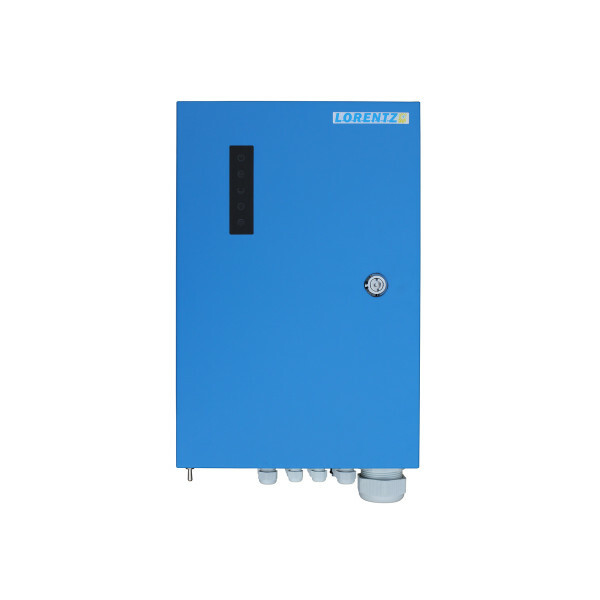 As solar power is not consistent through the day then PSk2 constantly changes the pump parameters to optimize the amount of water available. 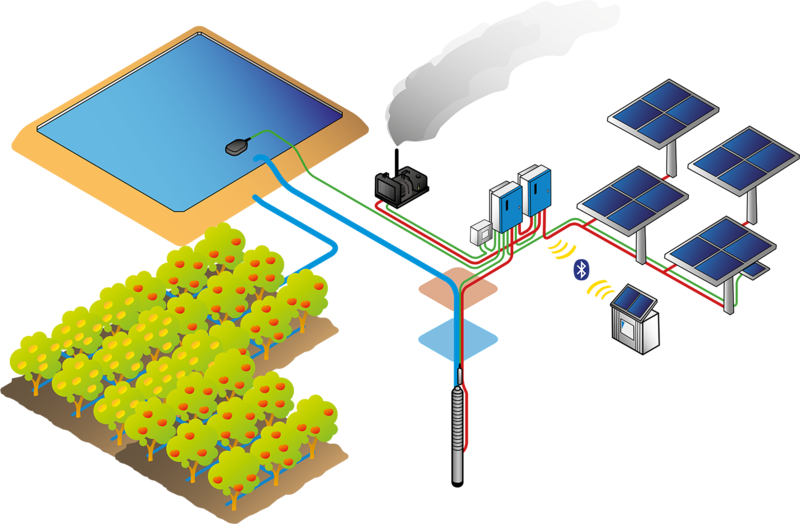 Being designed as an off-grid solar water pumping system, PSk2 has all of the inputs and outputs needed in an integrated self-managing system.